Some issues are more complicated, it takes time for us to fix all issues. To facilitate your understanding about what is still under development and what bug have not been fixed. Please kindly visit our section for General Known Issue. Once you discover an issue, you may immediately post on the Feedback Tracker which will make things more efficient during the feedback phase. 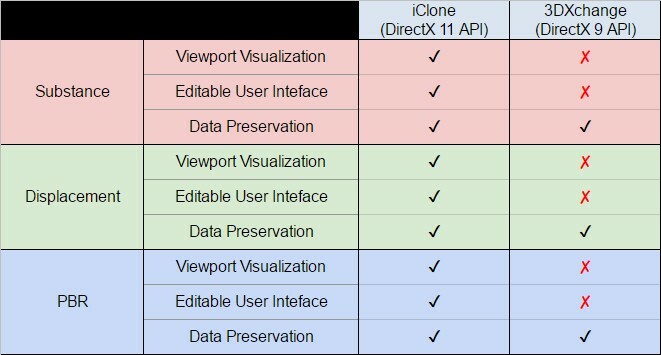 Key structural differences between iClone & 3DXchange. Saving the project in iClone is really slow, what can I do about it? Check on Preference > Quick Thumbnail Generation to screencapture rather than render the thumbnail image during file save. Animation frames per second is really low, what can I do to improve performance? 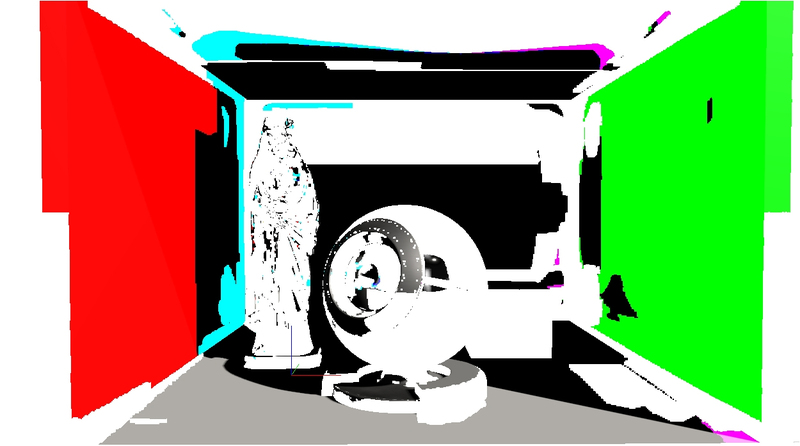 Disable Global Illumination via Toolbar > Viewport GI. Disable iSky via Visual > Image Based Lighting > Show Sky > Invisible. Or disable Sky blur, since blur is a realtime effect that consumes video memory. Or downsize the Sky texture, since larger Sky images tend to slow down viewport. Besides adjusting the realtime quality (High, Medium, Quick), you can also reduce the max texture size to 1024x1024. Opening some particular projects will cause iClone to crash. iClone 7 uses Nvidia Gameworks VXGI which consumes large amounts of video memory, therefore, a project with a lot of objects and Global Illumination enabled will likely exhaust all system resources. If you are experiencing system crashes, you can create a New Project with Viewport GI turned off and then reload the problematic project. Some particular projects will fail to load.This problem is possibly caused by insufficient space on your C: drive. When iClone loads a project, some data will be saved in the temp folder (Preference > System > Temp folder). These data files might even exceed the size of the project itself. When the storage space is insufficient, the project will fail to load. When I open a iClone 5 or iClone 6 project inside iClone 7, the visuals are very different. IBL, Shadow, and HDR all have significant differences. iClone 7 made some big leaps in visual quality, which is to say, a lot of new technologies have been implemented that are visually distinguishable from iClone 6. 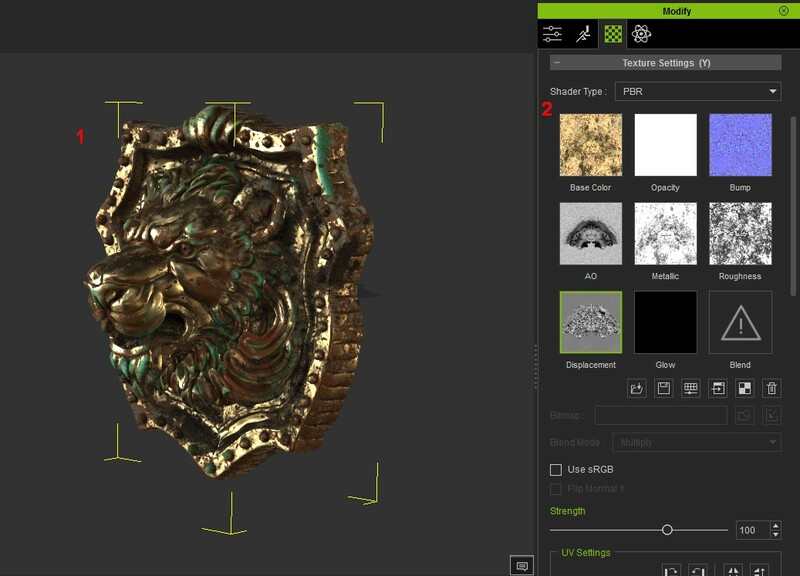 IBL Enhancement for PBR: a more flexible sync-to-sky design, and IBL bake-from-scene capabilities. Shadow Enhancement: allowing darker shadows, casting shadows on invisible mesh, and cast-shadow-only lights. Why does the viewport keep flickering when Temporal Anti-aliasing is enabled? 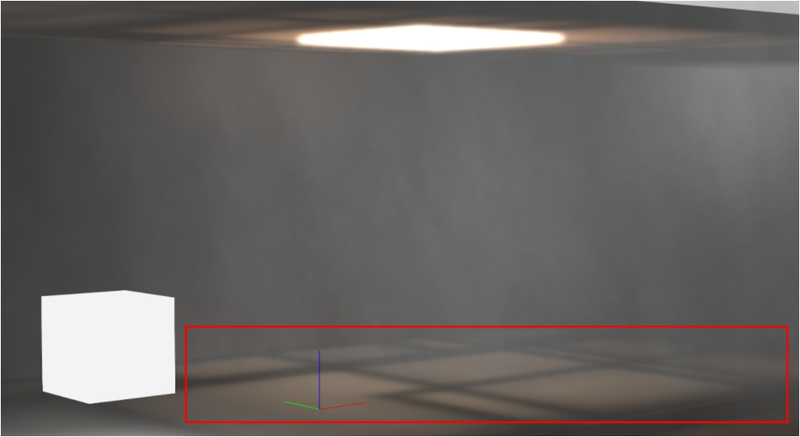 Why is it that the viewport does not change when I adjust lighting and Global Illumination? Try turning off the Auxiliary Light to see the effects of the scene lights. Why do old content saved from traditional projects in iClone 7 become grey when they are loaded under the PBR mode? When old content are loaded under the PBR shading mode, their diffuse channel will be set to sRGB. If a traditional shader project is loaded into iClone 7 and its content were saved under the traditional mode then iClone will not automatically enable sRGB. When a new project under PBR mode loads the saved contents, the material will turn out grey because its Diffuse channel is in linear colorspace. changing the Project Color Management to PBR and then saving the content. 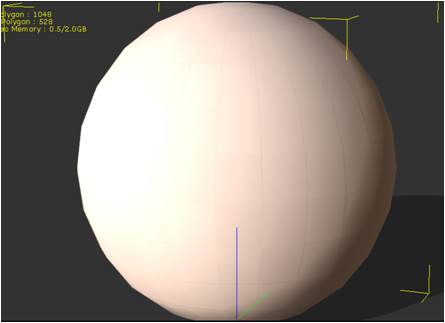 Sometimes the surface of the mesh will have blocky shading (pic 01). Surfaces with low polycount can easily have this problem. You can fix this by using Realtime Smooth on the object or adjust the Shadow Bias on your lights. Shadow areas under certain lighting angles will possess a blocky look (pic 02). Both iClone 6 and iClone 7 have this problem, even more so in iClone 7 when PBR and IBL are enabled. This usually occurs when the light is parallel to the mesh face. You can fix this by adjusting the angle of the lights. When GI is enabled, the particles in the scene will create shadows (pic 03-1) that make strange square shapes on reflections (pic 03-2). Modify > GI Settings > Illumination, unless, if it is absolutely needed to light the scene. When the GI is enabled with a character's hair in front of an emissive plane (Glow), in the semi-transparent portions of the hair will appear many visual artifacts (pic 04). 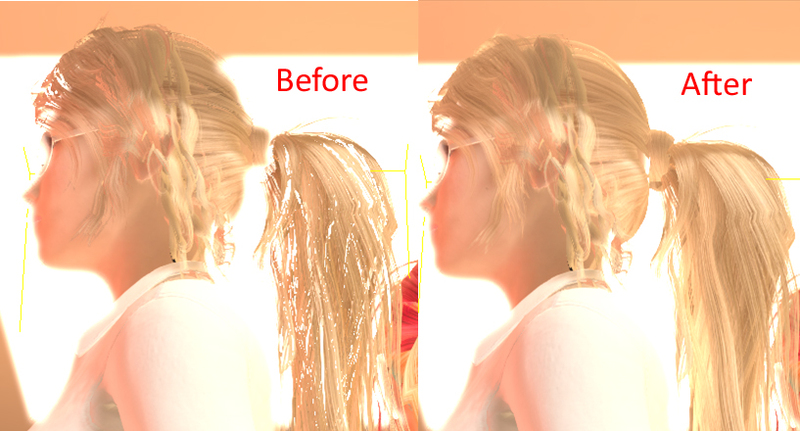 You can fix this by checking on Translucent GI for the hair under Material > GI Settings > Opacity. 1) Downsize the GI Range to create smaller and denser voxels. Flickering created by smaller voxels are less noticeable. 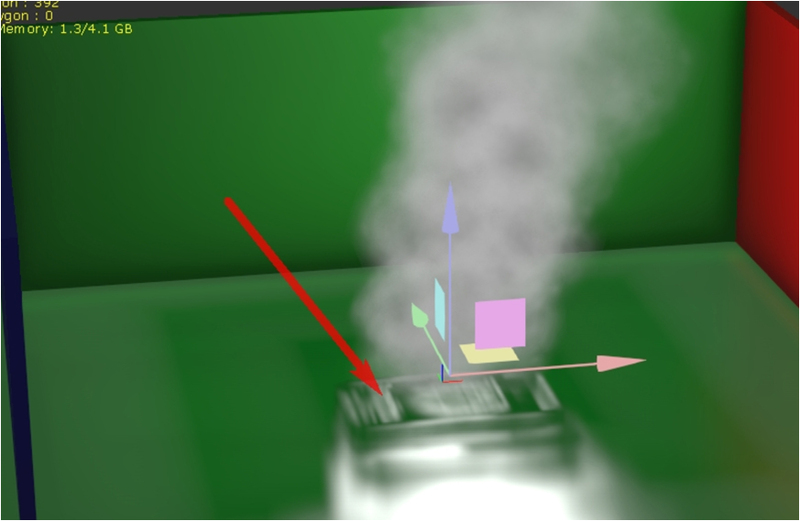 2) Move the GI Anchor closer to the moving emissive object which has the same effect of creating smaller voxels. 3) Use Project Settings > Visual Settings > Global Illumination > Suppress Light Flicker to mitigate the effects of screen flickering. The scene suffers from over-exposure when GI is enabled and Anti-aliasing Transparency is set to 8x under the Nvidia panel (pic 05-1, pic05-2). This problem also exists for Unreal Engine's VXGI. 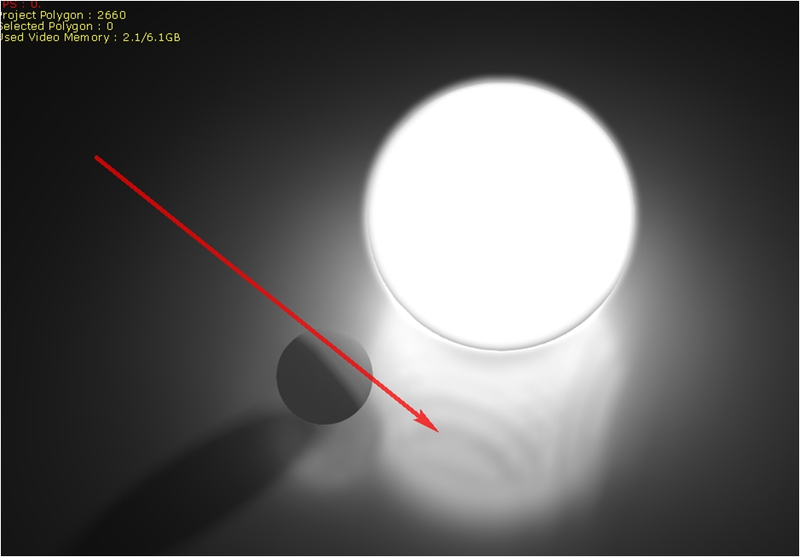 GI is not supported for:- Toon shader, its effect will be the same as if GI is disabled.- Refraction enabled content, will not receive bounce lighting (pic 06). When GI is enabled, the reflections of characters' eyes become too strong (issue). Fix this by turning the project into PBR mode and change the eyeball shader type to PBR as well (pic-after). When View GI Voxel is enabled, some mesh do not draw in blue and red with certain graphics cards (pic 08). However, even without voxels displays, the meshes are still affected by GI. When a scene has too many scattered meshes e.g. a Speedtree scene, the light bounces can become too frequent causing a scene to become overly bright. You can try to declutter the scene as a workaround. Due to the voxelization of the GI bounce lighting some visuals may become unclear and blocky (pic 09). Due to different DirectX APIs, iClone and 3DXchange will have several visual discrepancies (iClone supports DX11 while 3DXchange supports DX9). 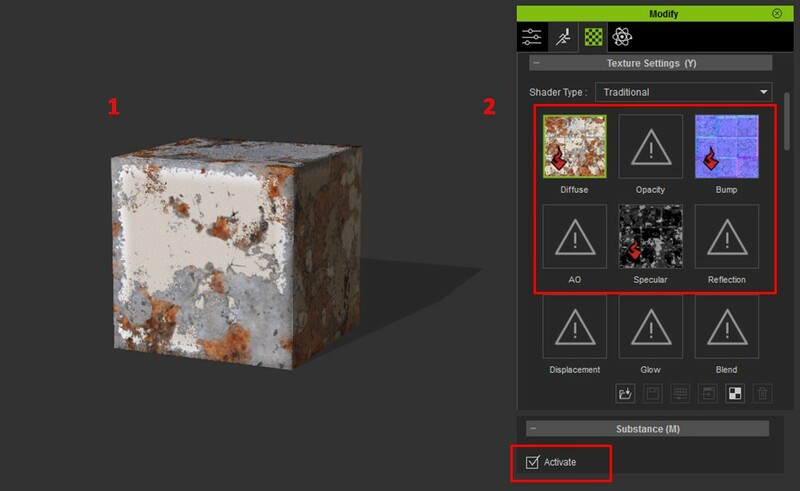 Visual Rendering: because iClone and 3DXchange have different DX APIs, real-time rendering may possess visual discrepancies in Substance Material, displacement, PBR, etc. 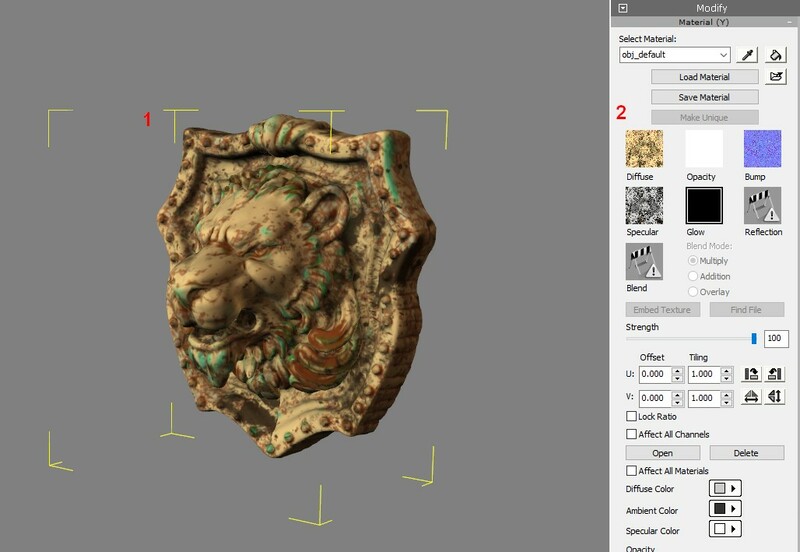 Example 1: Applying Substance Material on Props inside iClone and 3DXchange. 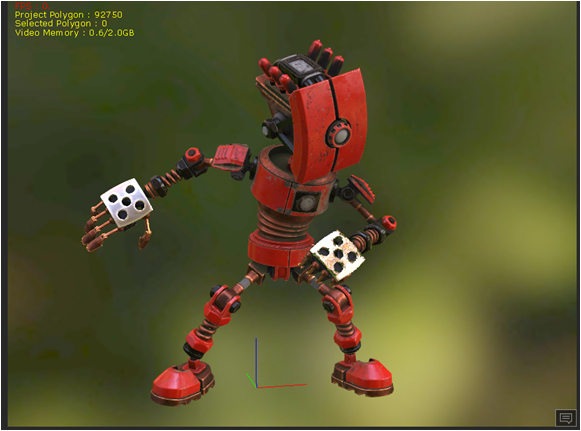 Example 2: Props include PBR and Displacement data inside iClone and 3DXchange. 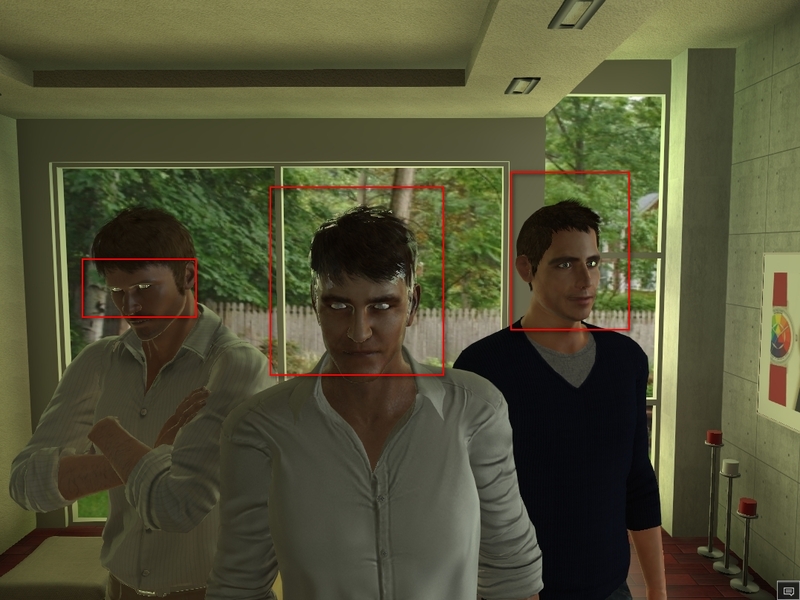 Note: These defects are only fixed for iClone exporter.Workaround: Export the characters from iClone instead of 3DXchange. 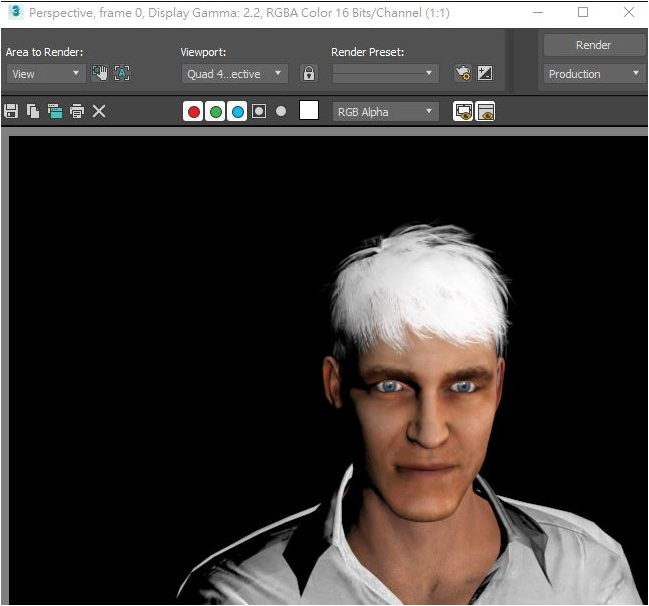 [ iClone ] The certain character's hair will fall to the floor with certain content such as Rockband Pack_Penny.iAvatar when it is export from iClone to Cinema 4D. 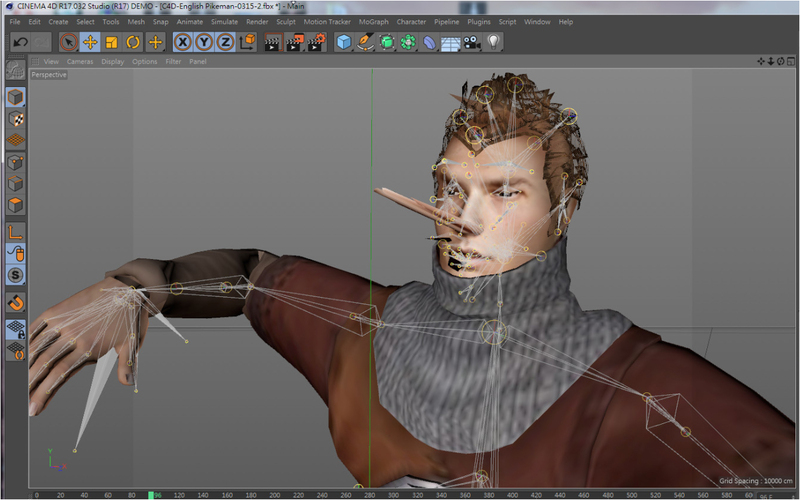 [ iClone ] The character's face distorts with certain content such as Creature Base - Hundred Year's War Theme Pack - English Pikeman.iAvatar when it is exported to Cinema 4D (pic 17). 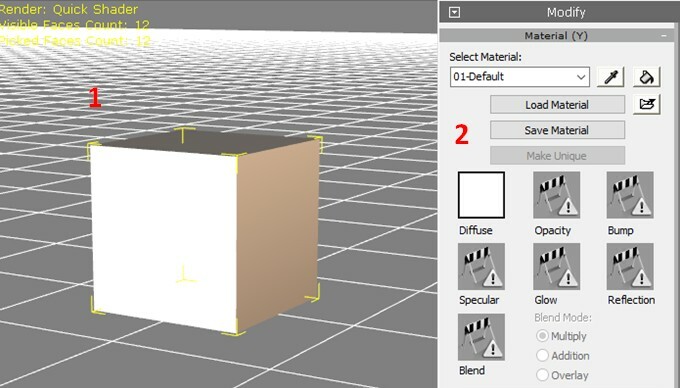 Workaround: First export the FBX to 3DS Max, then from Max export the FBX to Cinema 4D. 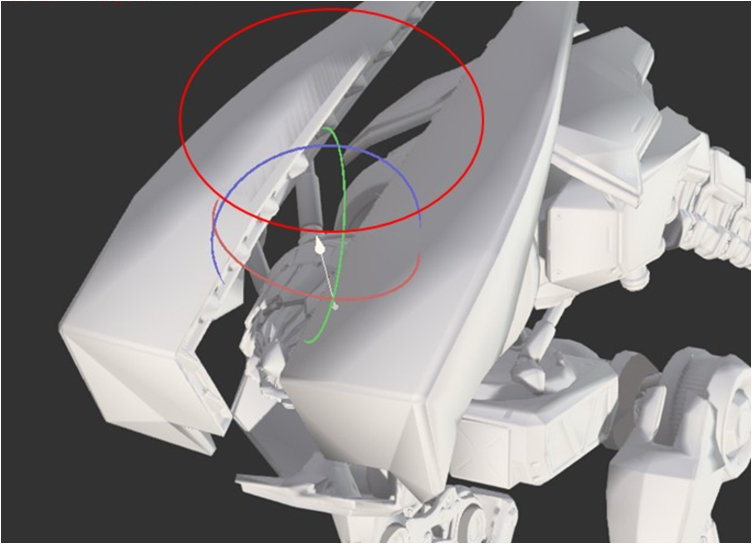 [ iClone ] Semi-transparent content possess visual defects when exported to other tools such as Motionbuilder, Blender, and Cinema 4D in FBX (pic 22). 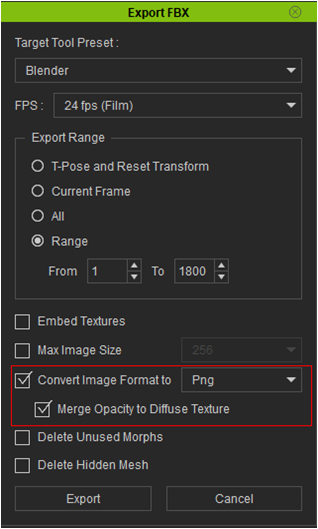 1) Export the content in FBX and select a Preset. 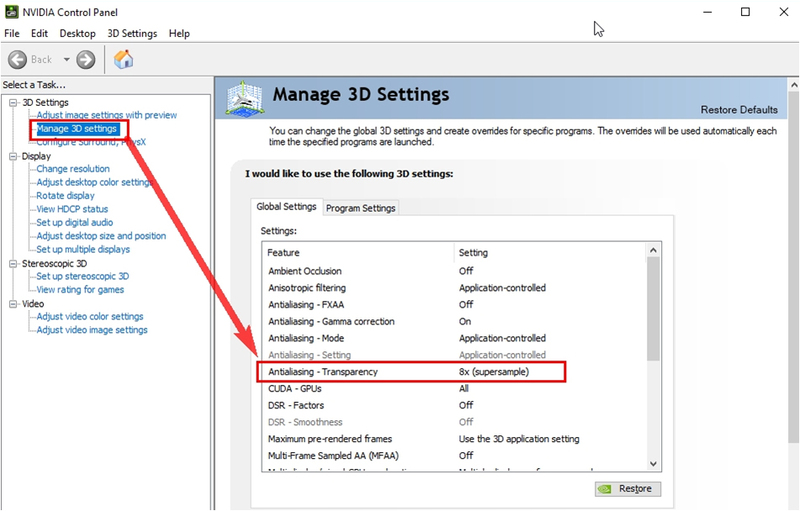 3) Readjust the material settings in the target software. [ iClone ] Export the character in FBX to The character's fingers has a 90 ° twist when it is export from iClone to Cinema 4D. Some content when imported into disparate tools will have abnormalities in the eyes. 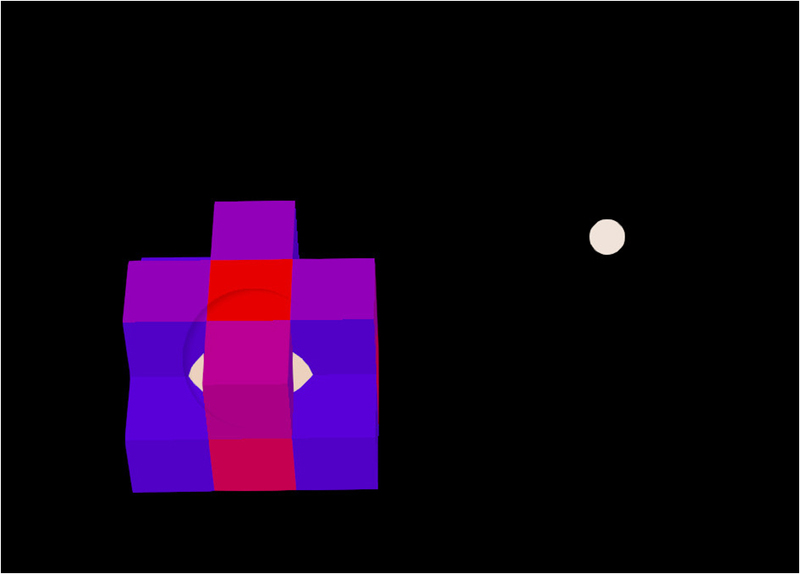 This problem is caused by the close proximity of the eyeball meshes. 1) Take a look at the content and you will notice that the eyeball mesh have 2 layers: the eye and eye reflect. 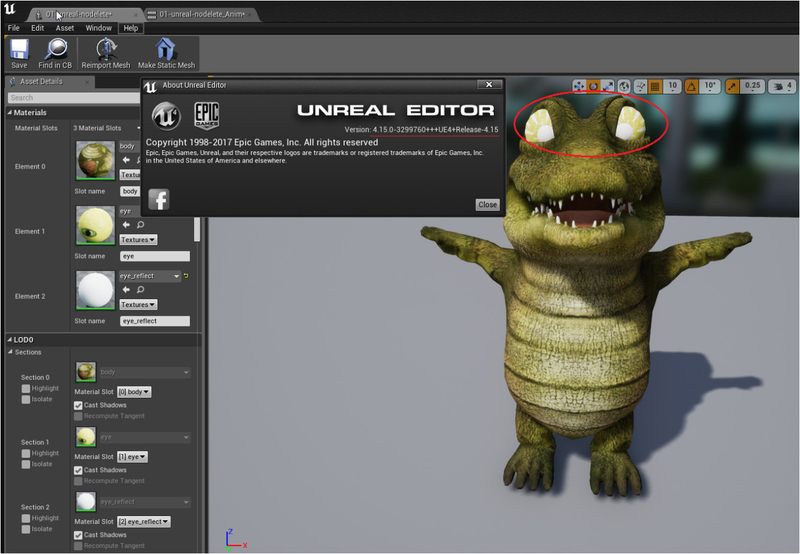 2) Inside Unreal's material editor, change the eye reflect mesh's opacity mask to Masked set to 0 (pic 19). 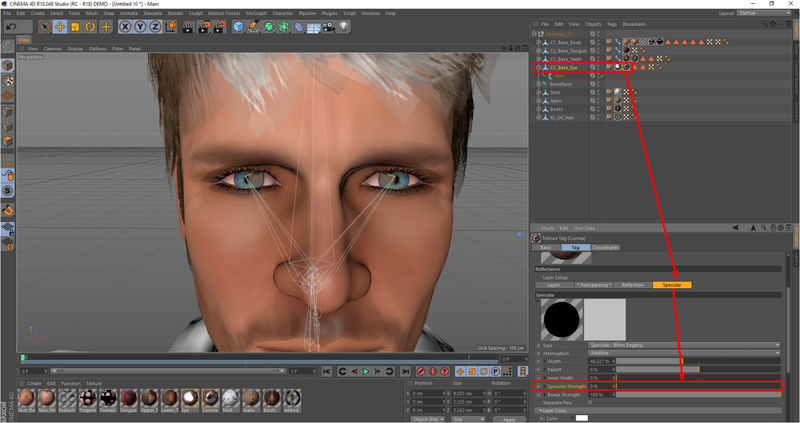 Case 2: CC character's eyes inside Cinema 4D will change to pure white (pic 20), see (pic 21) for the fix. 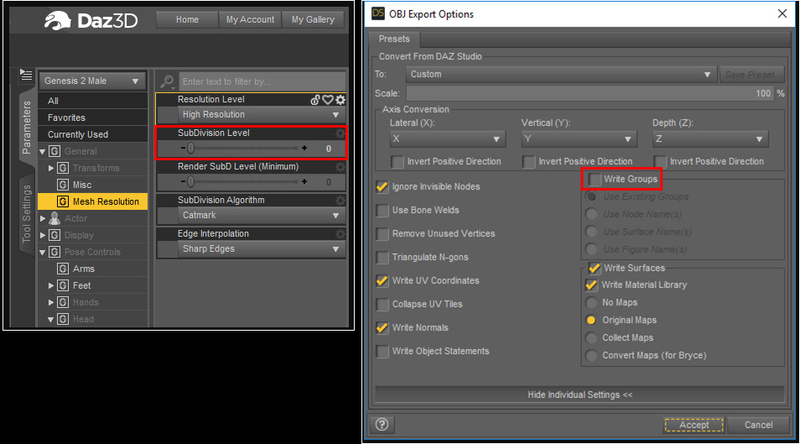 Under the Object Tree list, select the CC_Base_Eye's material with the "cornea" texture tag. You can find it at the bottom panel: Tag > Reflectance > Specular > Specular Strength. Set this to attribute to 0 and the problem will go away. When a G6 character imported int 3ds Max 2017 in FBX is rendered, the hair will turn out white (pic 16-1) (problem is nonexistent in 3ds Max 2016). Fix this by adjusting the Diffuse Bitmap's Offset U&V to 0 (pic 16-2). Reminder 1: Depth of Field keys can not be saved in the FBX format.DOF keys are currently not supported in the FBX format, no matter the software of origin. 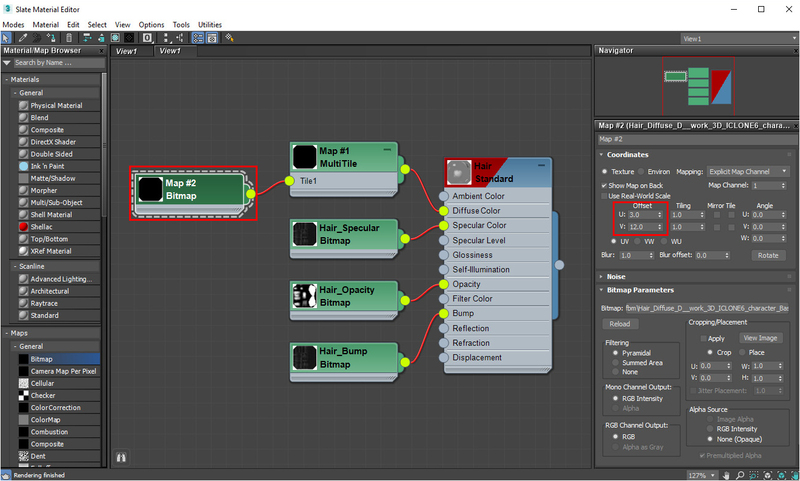 Therefore, FBX export can not be used to transfer DOF data out of iClone to other tools. 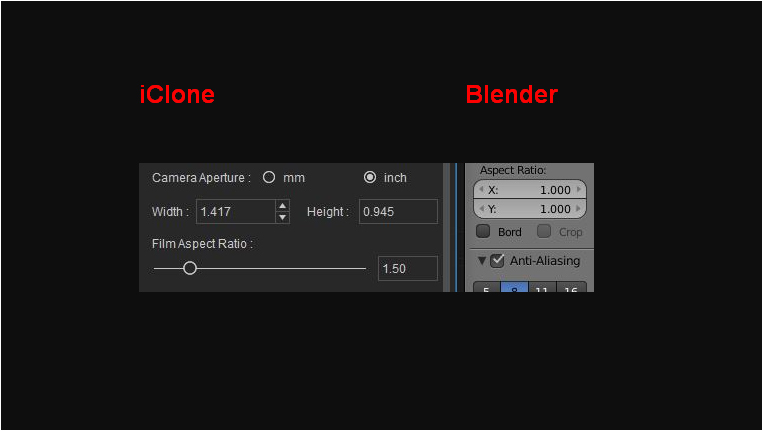 Reminder 2: The aspect ratio of iClone's native camera is different from iClone's exported camera inside Blender (pic 12). Note: FBX does not carry information for camera aspect ratio, therefore there is currently no way to bring iClone's aspect ratio parameters into Blender via FBX. Note: Maya's camera will also have this issue when exported to Unity. Reminder 4: The field of view parameter is incorrect when the iClone camera is brought into Unity (pic 14). Note: See more in the tutorial link pasted above.Unity 3D only reads transformational data (translate, rotate, scale) of imported FBX cameras. Therefore, FOV, focal length, and other data are excluded when the camera is brought into Unity 3D. 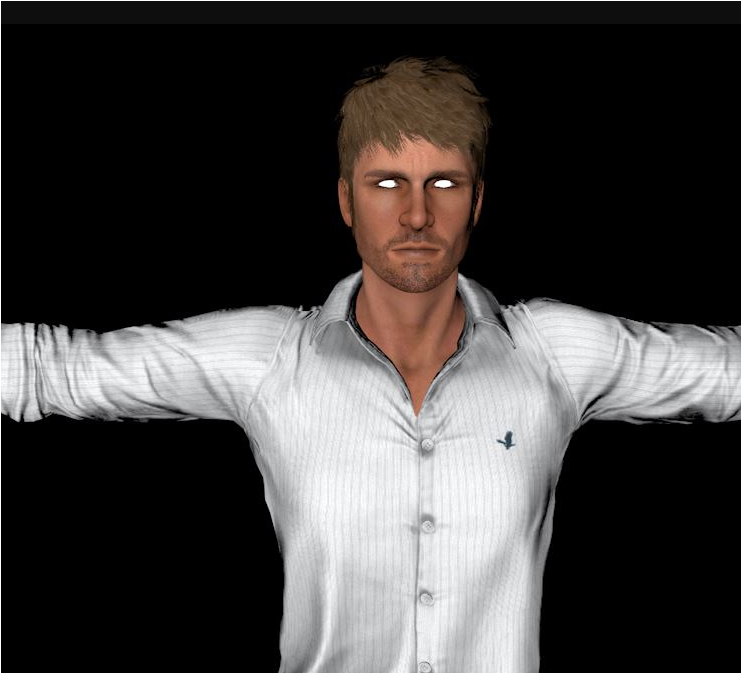 Why is it that when I create a morph key on a softcloth enabled clothing, I don't get the morph results that I expect? iClone will put physics simulation before morph animation, therefore, physics will always override the morph animation. Why is there not a Morph Creator button when an accessory is selected? 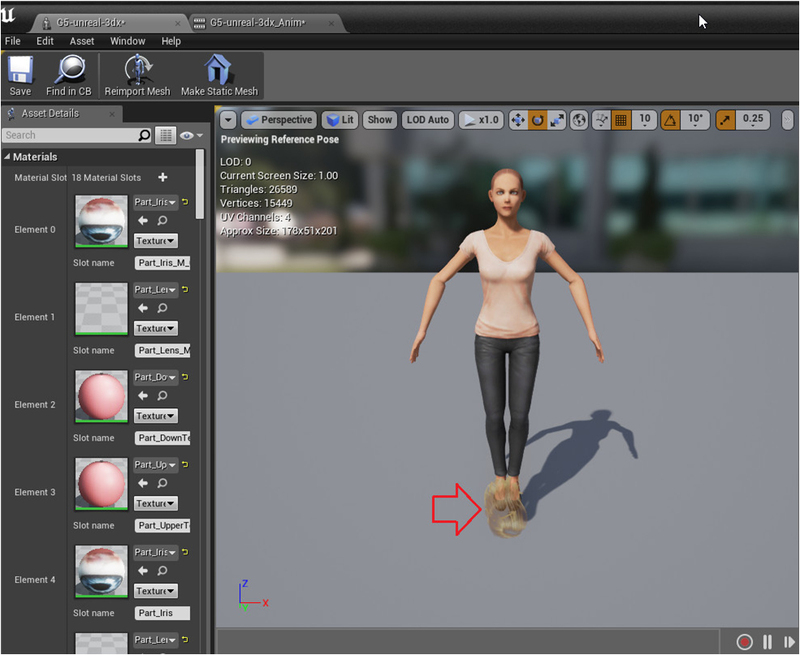 Currently, you can use the Morph Creator to add morph sliders to props, accessories, and avatars (including body parts). However, accessories need to be tacked onto a character in order to proceed with Morph Creator. When I use an iAvatar to create a morph target via Morph Creator, I get some unexpected results (pic 10). Morph target shapes do not take into account bone transformations. Using an OBJ (from Daz 3D) to create a Morph, the entire character slightly backwards whenever the morph is applied.The entire character position shift backwards whenever the morph is applied from an OBJ file exported from Daz 3D. Why can't I import an OBJ file exported from Daz 3D into Morph Creator? 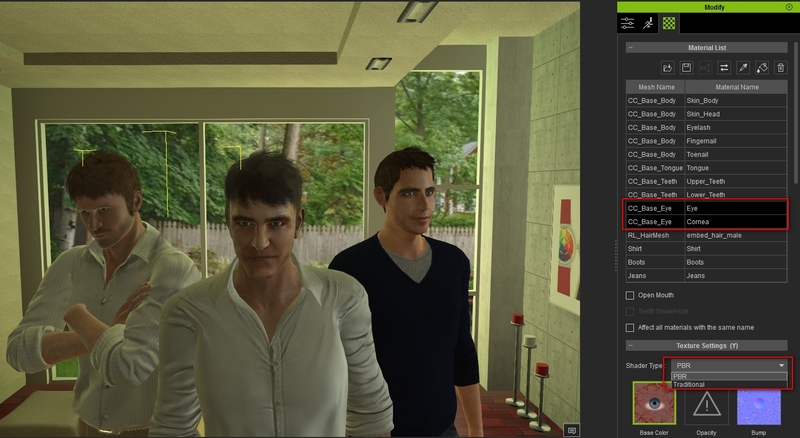 Use the correct Daz 3D settings (pic 11). However, due to difference in the t-pose between Daz 3D and iClone there could be some abnormalities during usage (examples above).